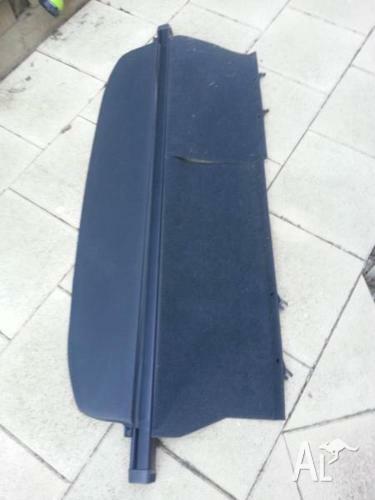 Rectractable cargo blind from a 2003 Toyota Corolla wagon. All clips are intact and it works perfectly. Some scratches on the underside (see picture).